Prolong the life of your decks with our SK8KINGS nose and tail guards. 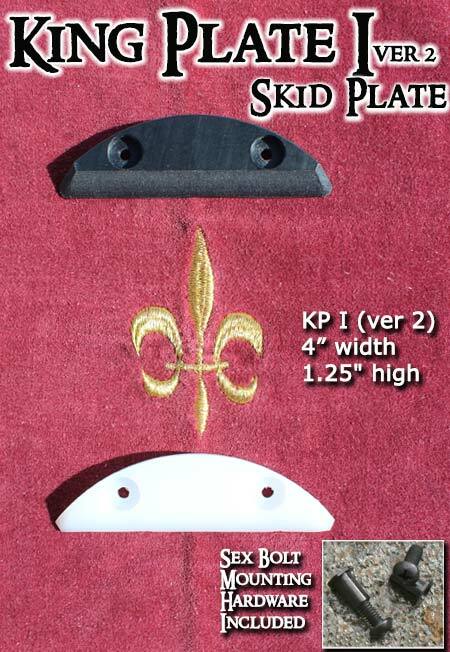 The redesigned King Plate I is a more streamlined version of our original King Plate I. Designed to fit the nose radius of the Primo Slide, G-King & Jester decks but also works great with our SK8KINGS street models (fits both nose and tail) and most other standard street decks too.